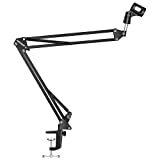 The adjustable Black Scissor Arm Stand is made of high quality steel frame, plastic Mic Clip (INCLUDED), sturdy and durable. Folding type, convenient to carry. 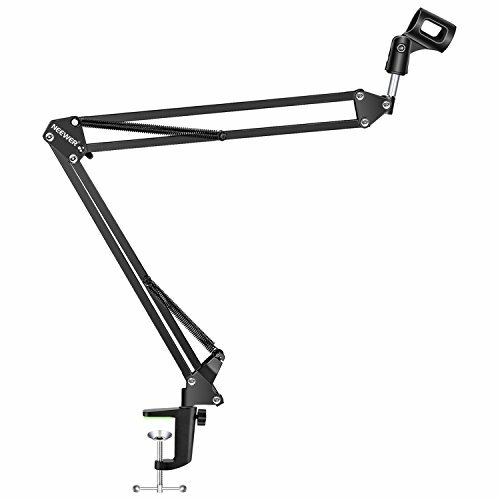 The adjustable arms allow you to carry it with you easily and adjust the suitable angle and height to show your perfect voice. Can be mounted on the announcers' table with the Table Mounting Clamp(INCLUDED). Compact microphone stand designed for heavy duty carry. Suitable for any stores, families, stages, studios, broadcasting and TV stations, etc. Completely flexible, firmly attach the microphone anywhere. Please Note: Kindly refer the Instructional Video before use which is very essential.